S and I consider ourselves pretty strong in faith. However should we reveal the frequency in which we go to temple, you would think our pants were on fire. 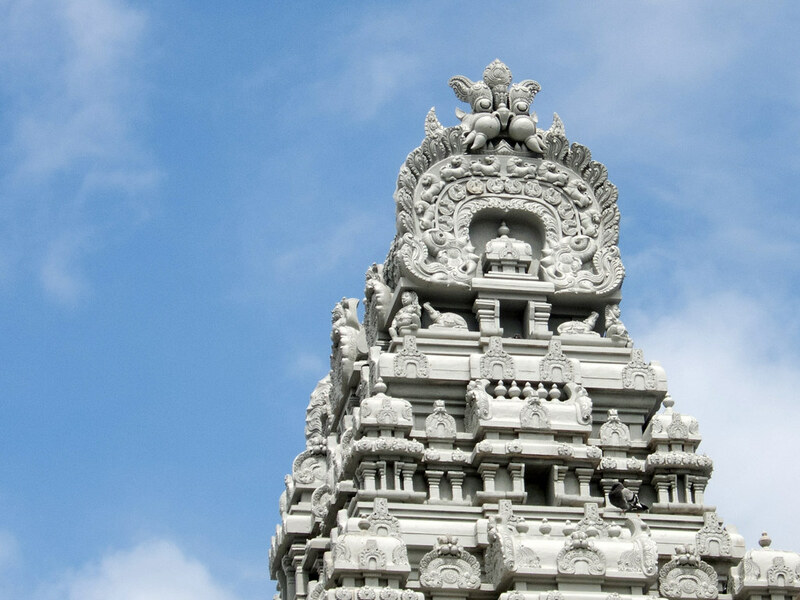 Last weekend for the first time, a mere two years after we arrived in this city, we made the two-subways-one-bus journey to the Ganesha temple in Flushing, Queens. Whilst I assume temples are bigger and better in India and Malaysia, I was pleasantly surprise at the vast space the Ganesha temple was housed in. I loved the the towering gopuram visible from afar, the strong sense of peace and serenity throughout the grounds, the earthy smell of incense and flowers, and the constant murmur of Indian chitter-chatter. It is a wonderful place - tis a pity the bothersome journey prevented us from visiting sooner. I love decking out in a saree any chance I get. For this visit, I put on one of my mum's that I pinched from her closet on my last trip home. I have seen pictures of my mother in this saree before my parents were married so I am guessing it must be some 30 years old. Amazing what looking after one's clothes (and some good ol' dry-cleaning can do! 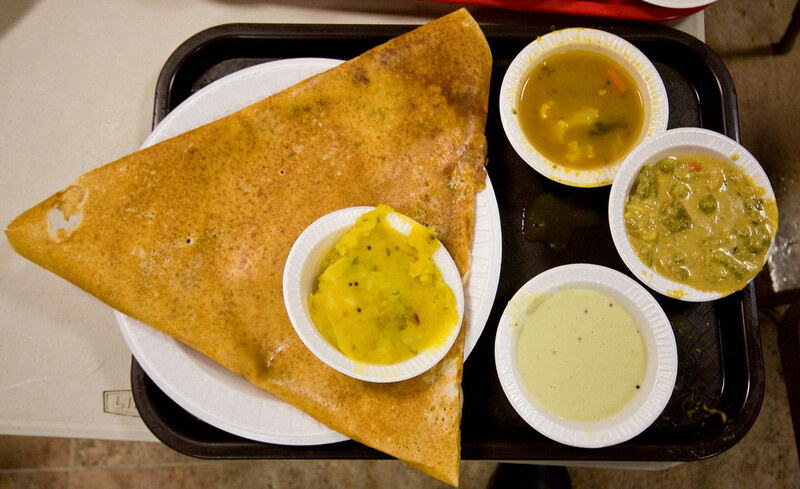 Even if ye are not the temple-going type, one should at least pay a visit to the temple canteen - the thosais (or dosas) are fantastic and extremely inexpensive! Full in heart, soul and tummy - we pledged to not wait too long before a return visit. Wow, I can't believe this saree is 30 years old! You look gorgeous! beautiful (and tasty looking) post! You went! The temple (and your saree) look beautiful. I've been wanting to go to the canteen since I moved here; Flushing is full of such amazing and inexpensive food. Go Queens!